So as you have noticed the pattern we usually post TLR on Thursdays bi-weekly. Well this prompt we were all turds and super busy that we have all posted scattered rather than together like the intention of TLR. In any event this prompt was picked by Lesley @Misfitlesley inspired by the Tokidoki Unicorns that Frosso sent us last year. They came in these cute little boxes that you get a random one and surprisingly enough we all got different ones! Too stinkin cute! My unicorns name is Dolce and I love him. I used OPI’s Going My Way or Norway? Then I hand painted on an angle Julep’s Carrie. For the sprinkles I hand painted on Opi’s Hey Baby and Cirque’s Tavern on the Teal. 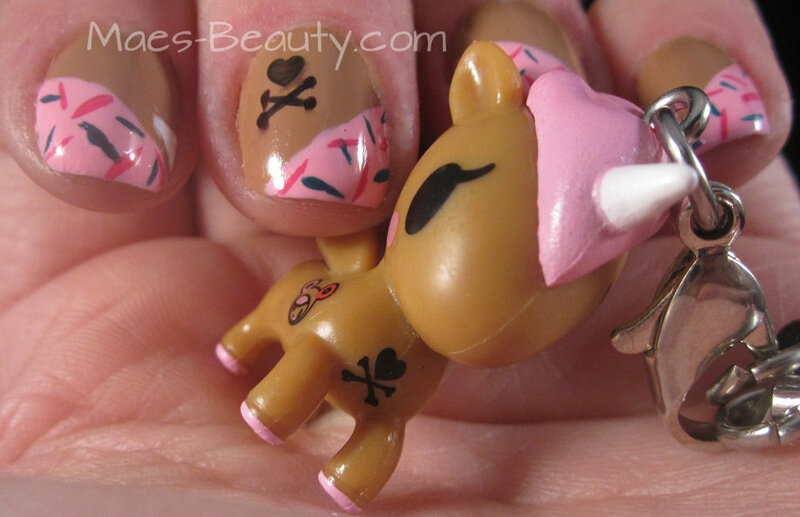 I painted the unicorn horn on my index finger using a nail art white. 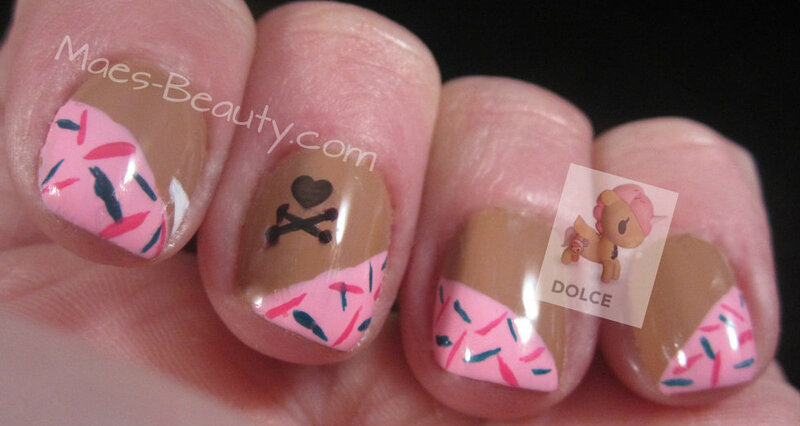 Finally I had a stamp of a small heart and I used Illamasqua’s Boosh and I hand painted the crossbones below it. Isn’t Dolce too stinkin cute!